If you have ever done your own travel planning for a trip on your own, then you know how time consuming it can be. You need to look into and search for airfares, accommodation, transportation, places to go and things to do. All of this can sometimes be a bit overwhelming. Adventure Travel Tour Operators specialise in there chosen area and will take all of this angst away of trying to do it all yourself. We list all the major tours operators in the Adventure Travel market. The only thing that you need to do is make up your mind when and where you want to go and then BOOK and GO. Adventure travel is one of the latest trends in the travel industry. These types of holiday experiences are typically characterized by travelers being involved in either a physical activity, a cultural interaction, or being immersed in nature. This kind of experience is for those who want to experience the outdoors on their vacation, or maybe learn about ways of life other than their own. Adventure travel tours can quite often be the choice of those people that would consider themselves thrill-seekers. Although a number of people aged 18-30 something from the youth travel market are the major clients of these companies, in more cases than not their will be a wide variety of ages on these types of adventure tours. Those who prefer the comfort of a hotel room, or resort with all possible amenities, probably are not the people looking for an adventure travel trip. There are different types of adventure tours to suit the tastes of every traveler. Some are designed to put visitors into direct contact with people from another culture, while others concentrate more on the physical surroundings like "jungle tourism" for instance. There may be a lengthy excursion across several countries, called "overland" tourism. On our dedicated Adventure Travel page you will find out all the information you need on all the major adventure travel tour operators. You should check them all out below if you're planning on getting off0-the-beaten-track on an adventure tour anywhere across the globe. By offering adventure-craving travellers an alternative to the resorts, cruises and motorcoach tours they were accustomed to, he not only changed the way people looked at their holiday time, but changed the face of travel forever. Twenty-three years later G Adventures has grown from a one-man show to a company of over 1350 staff worldwide, and from a handful of trips in Latin America to hundreds of adventures spanning the globe in over 100 countries. Over 100,000 travellers experience the real world with G Adventures every year, with tours ranging from city breaks in Asia to expedition cruises in Antarctica. G Adventures style of travel is authentic, sustainable travel, which gets travellers off the beaten track, to the heart of a destination. What hasn't changed is G Adventures passion for making sure you get behind the scenes to experience the real world in an authentic and sustainable manner. G Adventures is an adventure travel pioneer offering the planet's most awe-inspiring selection of affordable small-group tours, safaris and expeditions. G Adventures award-winning trips embrace authentic accommodation, exotic cuisine and local transport to put travellers on a first-name basis with the planet’s people, cultures, landscapes and wildlife. If you're after a G Adventures Special Offer they quite often have plenty on offer for most of their destinations. The G Adventures Last Minute Deals are often heavily discounted as well. From two university friends, a typewriter and a kitchen desk, Intrepid Travel has come a long way since its beginnings in 1989. Intrepid Travel is now part of a much larger group of companies, taking over 100,000 travellers every year. Despite growing into a global business with over 1,000 staff based all over the world and over 800 different trips across every continent, Intrepid Travel remains devoted to the same grassroots values and responsible travel philosophies that they had at the very beginning. Intrepid Travel have three styles of tour to choose from: Basix, Original and Comfort. Each has a different level of inclusions and accommodation, but all have unforgettable real life experiences as part of the package. Travellers can also choose themed trips with Intrepid, such as Family, Sailing or Food, to suit their interests. 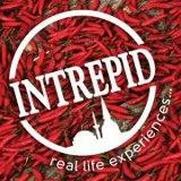 Intrepid Travel group size is an average of just ten travellers, which allows Intrepid Travel to get off the beaten track, use local accommodation and transport, and really get to know the culture. It also ensures that Intrepid Travel are contributing to the local economy. You will often find Special Offers on Intrepid Trips, as well as plenty of Intrepid Travel last minute deals. Stray Asia is a South-east Asian travel network providing hop-on hop-off guided Travel Passes around Thailand, Laos, Cambodia & Vietnam. With Stray Asia you will get to explore unique and remote destinations and immerse yourself in local culture. Whilst their average customer age is late 20s, it is more about your attitude towards travelling than your age with them and they would love to have you on-board even if you’re over 80! Stray Asia also has all-inclusive type packages called Stray Adventures. You can either add a Stray Adventures trip onto your Stray Asia Travel Pass or purchase them as separate trips. To ensure you start your trip to South-East Asia off on the right foot, they also have City Arrival Packs in various destinations in the region. Although Stray Asia mostly uses their own private transport, you can expect to travel in various modes of transportation like trains, longboats and even tuk tuks! Stray uses experienced drivers on their air-conditioned buses, which always get great reviews. Stray use local guides, who have a wealth of knowledge about the local culture and history. Stray include a Western Tour Leader on their trips to help you get the most out of your Stray Asia experience. Stray Asia also include a number of the entrance fees to numerous must-see places along the way like the Bamboo Train in Cambodia, Hotay Pitok Library in Laos , or the Ayutthaya Temples in Thailand to name just a few. There is also plenty of time on a Stray Asia trip for plenty of activities. So whether your after tubing in Vang Vieng, a swim in a giant waterfall, or simply having a drink with the locals, then Stray Asia will have you covered. Of course like most operators there are Special Offers from Stray Asia all the time. 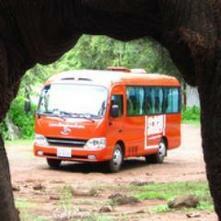 With over 30 years experience in the industry, African Trails have been running camping safaris since the 1980’s. Their aim is for you to have a memorable and rewarding experience at a cost you can afford. They provide fully trained crew, as well as modern vehicles and equipment. Their overland safari leaders are all experienced travellers with plenty of enthusiasm, experience and knowledge of the countries that African Trail visits. They also use local guides in various places for a more in-depth view of the region. 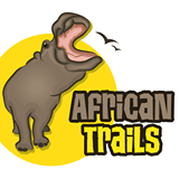 African Trails encourage you to be hands-on and their groups sizes tend to be mid-sized up to 28 people in total. As well as get out into the wilderness on their trips, you will also get to go shopping in the local markets, mix with the locals and even organise your own side trips in addition to what the crew can organise for you. In order to keep the costs of their trips low, African Trails don't employ heaps of office staff and all their marketing is done online. You can book their trips with confidence that you'll get the best price possible. If you've got an open mind, a sense of adventure and are willing to step outside your comfort zone then you'll fit right in with Gecko’s Adventures. Founded in 2000, Geckos Adventures are for travellers aged 18-29 who like to have a good time with others their own age, but don’t want to spend their whole trip crammed into a bus with 40 hungover backpackers. They operate tours to Latin America, Asia, the Middle East, India, Nepal and Africa. With Geckos you'll meet locals, embrace new cultures and actually learn some stuff along the way (like who were the Aztecs? Why is that baboon looking at me funny? ), make friends, hit up backstreet bars and tasty street stalls. The average group has about ten people. If you like travelling in big buses, ticking off big sights and staying in big expensive hotels, then Geckos probably isn't for you, as they like to keep their groups smaller so they can see and do more. For over 35 years Peregrine has been trying to fulfil their clients dreams, by helping them to explore and discover places. Peregrine's first steps in the world of adventure were taken in Nepal in 1977. The Peregrine name comes from the word 'Peregrinate' which means to migrate, walk, or take a pilgrimage, very fitting for a trekking organisation. Since then Peregrine broadened their horizons and now offer adventures worldwide in Africa, Antarctica, the Arctic, Australia, New Zealand, Egypt, the Middle East, Europe, The Himalaya, India, South East Asia, China, & Central Asia and Latin America. Peregrine tours include treks, walks, safaris, journeys, expeditions and voyages, some which require physical as well as mental stamina. Most are adventures that can be enjoyed by anyone who enjoys getting off the beaten track, discovering and learning about their chosen destination. The Spirit of Adventure encapsulates the core of what Peregrine offer, quality, innovation, value and challenge encompassed within a framework of ecologically sound adventures. Accommodation is also varied, mostly good quality and comfortable, occasionally very basic, always chosen to offer great value and to allow you to discover and explore the destination in question. Peregrine believe that the best people to show you a country are people from that country. Peregrine leaders speak the language, can read the menus, understand the day to day world around them, offer insights into the history and culture, and are passionate about their homeland. When you join a Peregrine tour, you travel only with a small group. The maximum is just fifteen, which is small enough to avoid making a negative impact on the places you go and the people you meet, but large enough to have a good time with other travellers from around the globe. If you would like to SIGN-UP for our fantastic tour operator DEALS and SPECIAL OFFERS, or If you would just like YOUR SITE added to our website, then please submit your details below.